CHCG Treasurer Anne-Maree and Tom will be accepting membership fees ($15) at this Saturday's (20th Jan) meeting. 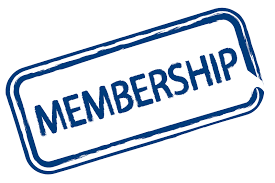 Our membership fees are due at the AGM which is held November of each year. You can order a CHGC name badge ($8) also if you need one - I have the happy knack of misplacing mine! President Jane is looking forward to hosting this special kick-off to the 2018 meeting calendar at her home - 21 Lyndhurst Close, Moonee Beach. Usual starting time of 1:30pm - please note there will be no competition table or trading table at this meeting. Jane has mentioned that her family have quite a few chairs on hand but just to be on the safe side, slip one into your boot in case there is a shortage.